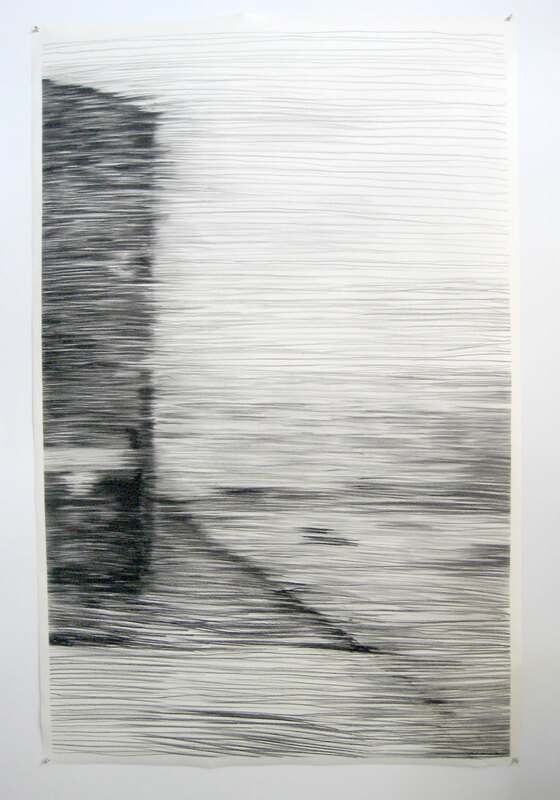 Devoid of people, these landscapes invite yet threaten. 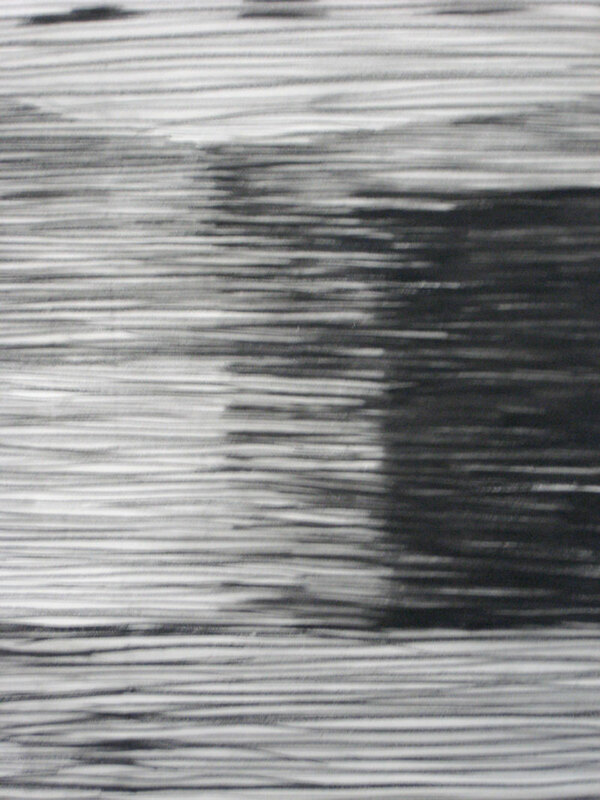 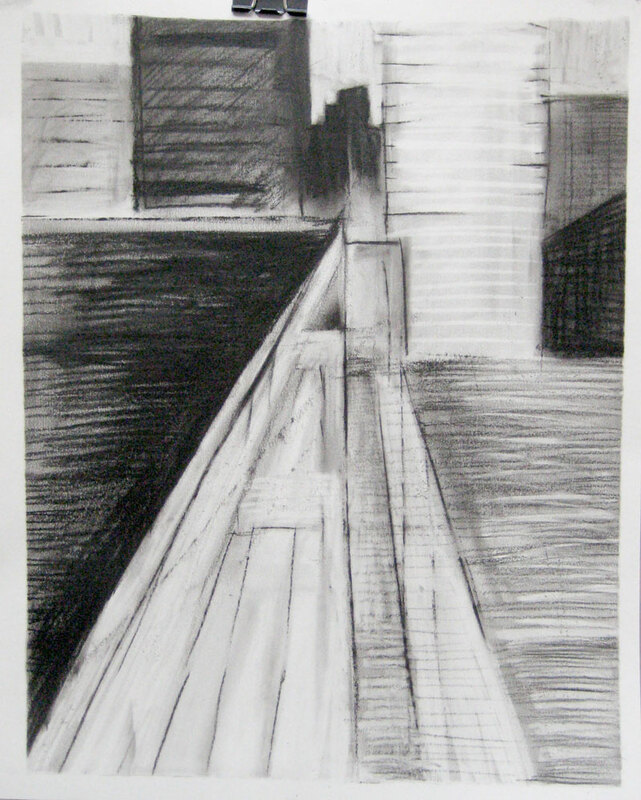 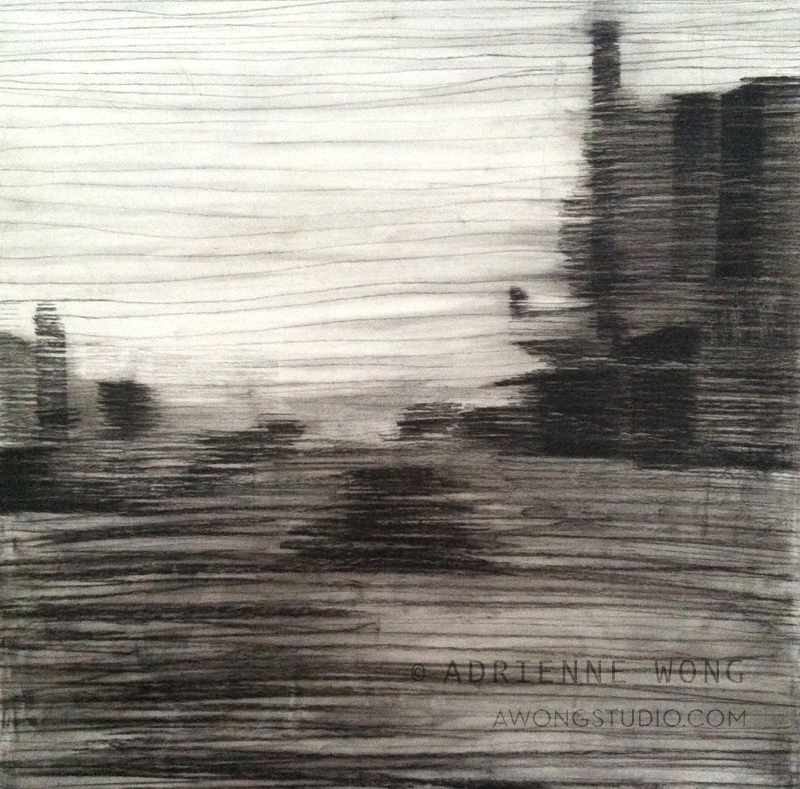 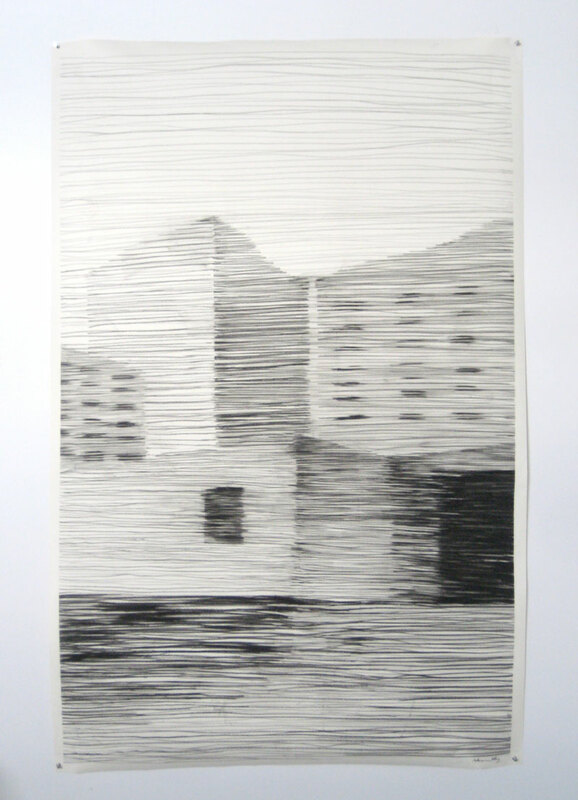 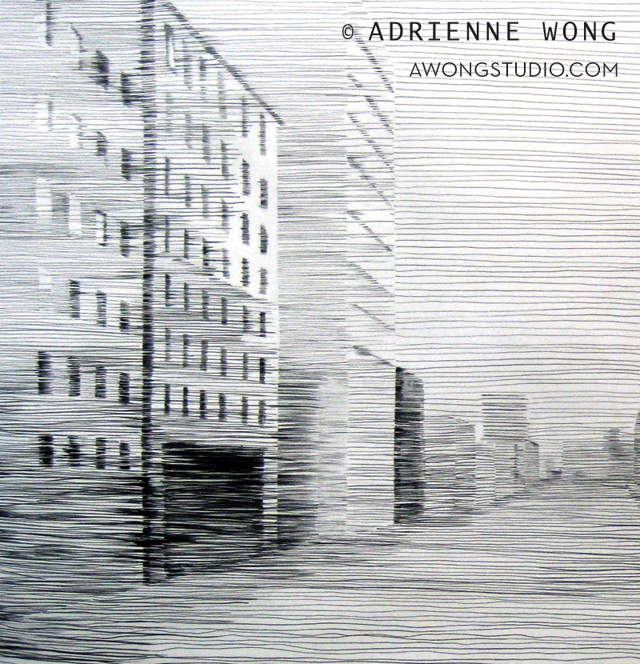 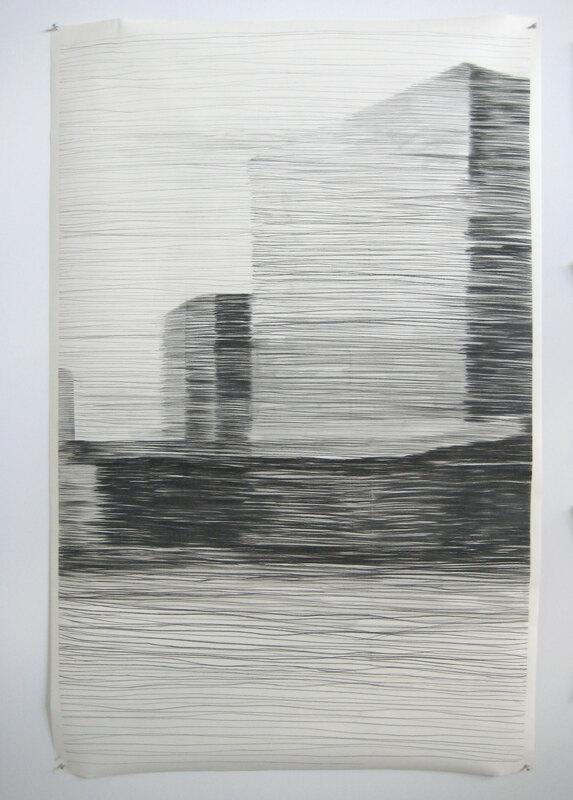 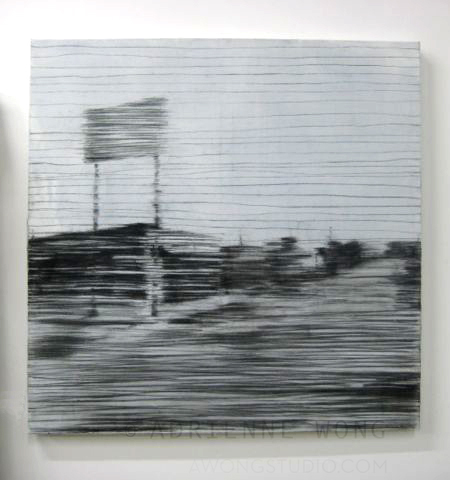 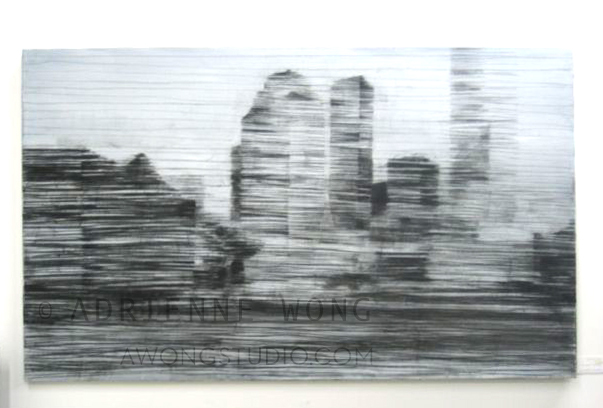 Drawn in charcoal, I used horizontal lines to create shadows and spaces. 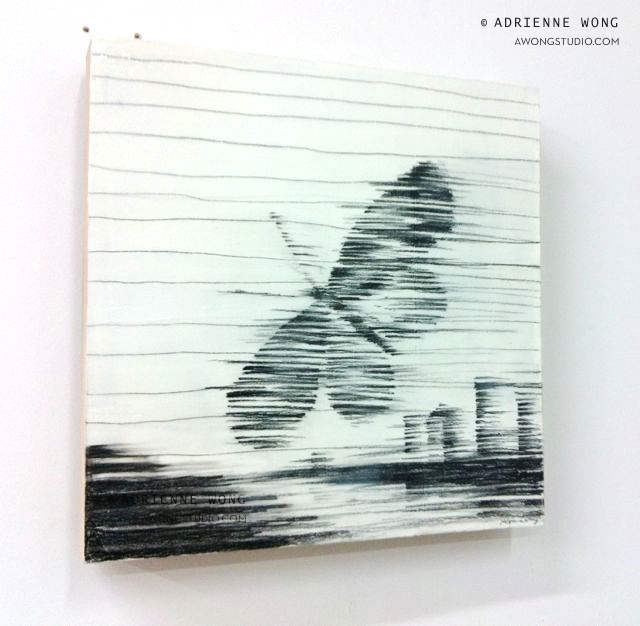 The linear pattern references photography and my painting process, where the paint blurs across the surface.